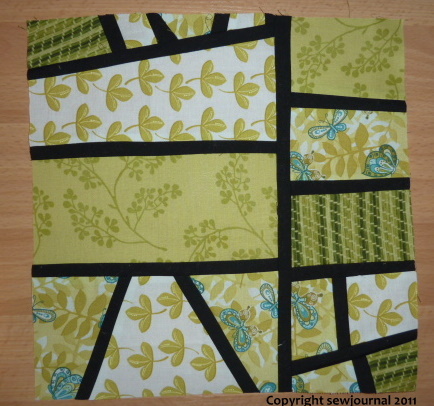 Last week I completed two blocks for Bee in Oz. 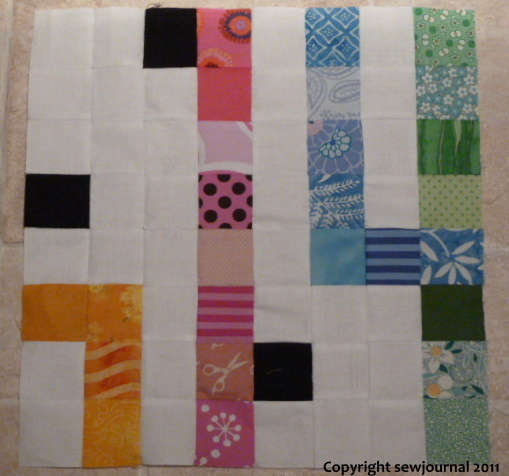 The first one is block 8 from the Elizabeth Hartman’s Tokyo Subway quilt and I made it for Shruti. It’s all hand-pieced. The second one is based on Elizabeth Hartman’s Modern Mosaic pattern and is for April. This one is machine-pieced. I love your choice of fabrics for these blocks. And I am going to have to google Elizabeth Hartman! I’m wanting to make some mosaic blocks myself…I really like the looks of it. I saw it in purples, white and grey and it was so pretty a quilt. Wonderful color combinations. I’m with Annette on this. I need to find out about Elizabeth Hartman.